You may caramelize the onions in advance or while preparing this soup. Notes: Big-Batch Slow Cooker Caramelized Onions recipe here. In a large sautée pan over Medium heat, melt the butter. Add the onions and sautée for eighteen (18) minutes. Then, add the brown sugar, salt and pepper and sautée ten (10) minutes more. Melt the butter in a stockpot over Medium-Heat heat. Add the garlic, onions, carrots and celery, sautéeing for ten (10) minutes. Add the sweet potatoes and sautée five (5) minutes more. Pour over the stock and bring to a boil. Then, reduce the heat to Medium and simmer until the sweet potatoes are very soft, about thirty to thirty-five (30 to 35) minutes. Use an immersible blender to purée the soup until smooth. Add the brown sugar and next six ingredients (nutmeg through black pepper). Puree again until well combined. 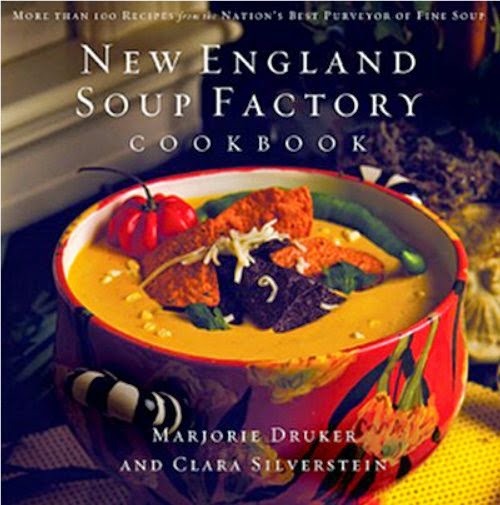 Slightly adapts recipe from Marjorie Druker and Clara Silverstein, New England Soup Factory Cookbook: More Than 100 Recipes from the Nation's Best Purveyor of Fine Soup (Nashville: Thomas Nelson, Inc., 2007), 14 - 15.